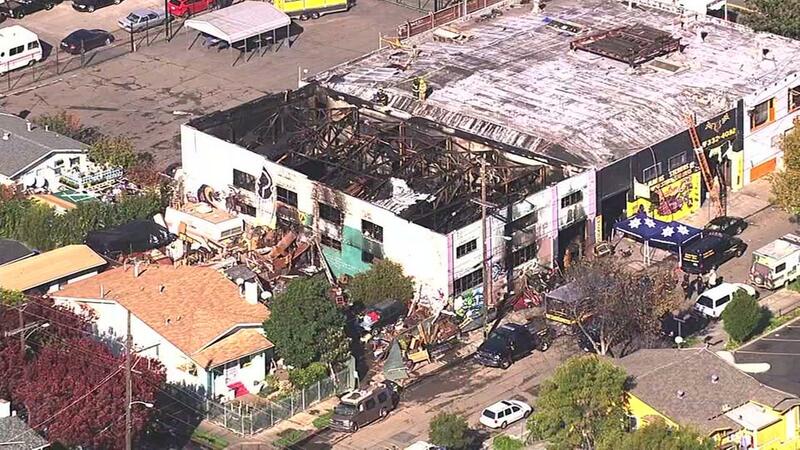 On December 2 in Oakland California, a deadly fire took 36 lives in a warehouse facility turned artist residence known as the Ghost Ship Artist Collective. It took four days for local firefighters to recover the scene. An absolute contributing factor? The lack of a sprinkler and fire alarm systems, blocked and inadequate fire exits and a lack of working fire extinguishers. In fact, the few extinguishers found among the bodies were inoperable. Officials say it is the highest number of fatalities in a structure fire in the U.S. in the last 13 years. The tragedy shed negative light on the building owner, who refused to comply with fire codes and the state of the Oakland housing market, where people endured living in dangerous conditions since there was no other affordable alternative in the area. The city is also under scrutiny since the building had not been inspected for 30 years, and rightly should have been closed down. But for those of us in fire safety, like Total Fire, the tragedy is a demonstration of the importance of our work, and how what we do saves lives. The Ghost Ship had been home to numerous fire hazards for some time and was no stranger to the authorities. The facility had been reported for tall weeds, mounds of garbage on the grounds, and illegal conduct of the community within, even though the space was not meant for residential use. The cause of the fire is still under investigation but at first, an old refrigerator was thought to be the cause. The interior of the building was a chaotic mixture of improper electrical wiring and makeshift staircases, stacks of wood, furniture and other junk scattered around and wooden structures in progress. The fire started on the first floor, and people trying to evacuate had to weave through the inside clutter and climb a rickety, tight staircase to get out. 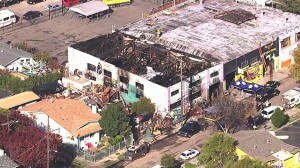 People on the second floor were trapped by smoke and flames. Many of the bodies were found as they were in their last moments–holding and hugging each other in fear. 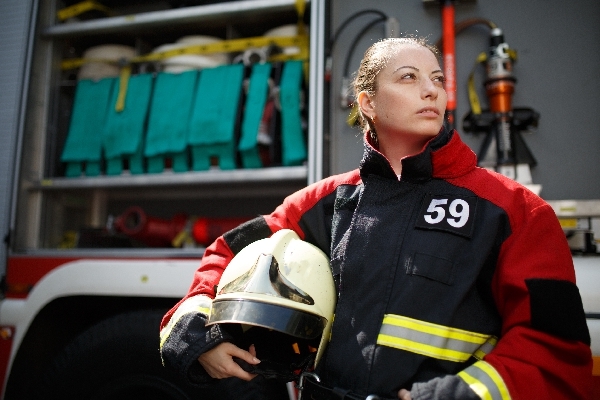 At Total Fire & Safety, we truly believe we do something more than just come to work, collect a pay check and go home. We play an important role in keeping our community safe! In the case of the Oakland tragedy, an inspection attempt was made as recently as last month when a code enforcement officer responded to complaints about piles of garbage. No one came to the door and the Oakland inspectors are not allowed to gain access to a building without permission. The blaze started during a rave dance party, and the facility was not equipped or zoned for such a gathering. 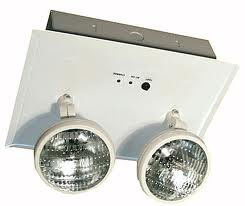 NFPA reminds us that in the case of nightclubs, theaters and auditoriums where large numbers of people gather, fires are the most deadly when the proper features and systems are not in place. For theaters, night clubs, venues, etc. NFPA codes call for a considerable number of safety systems and features to be present for these structures, not just a single safety system or feature. When building owners take shortcuts in service, look for the cheapest option or have the mindset that a fire like this could never happen to them, the consequences can be dire. That’s why we make sure we are doing our part in taking care of our customers and ensure that the systems they have onsite are adequate for their needs. Our entire team, including our administrative employees, field technicians, managers and even our owner believes that it is our responsibility to do our job 100% because in the end we are protecting what matters most–people’s lives. When we arrive at a facility we..
and VERIFY that everything is up to code for the customer. The fire at the Ghost Ship will rank among the Rhode Island Nightclub fire of 2003 and the Queen of Angels fire from 1958 as tragedies that could have been prevented or lessened considerably had the right life safety systems been in place. 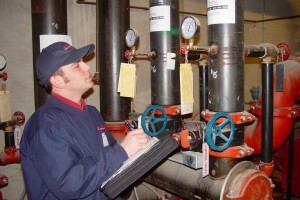 As fire safety systems continue to improve, Jim Pauley of the NFPA warns that “we can’t be complacent just because numbers have gotten better.” It’s important that everyone responsible for the safety of those inside a facility have it properly inspected with well maintained and fully operational fire safety systems in place. Do you? If you are unsure of whether your building is up to code, please don’t hesitate to contact us at Total Fire & Safety. We take our jobs seriously because we know what we do saves lives! TFS Cooperates at Navy Pier! 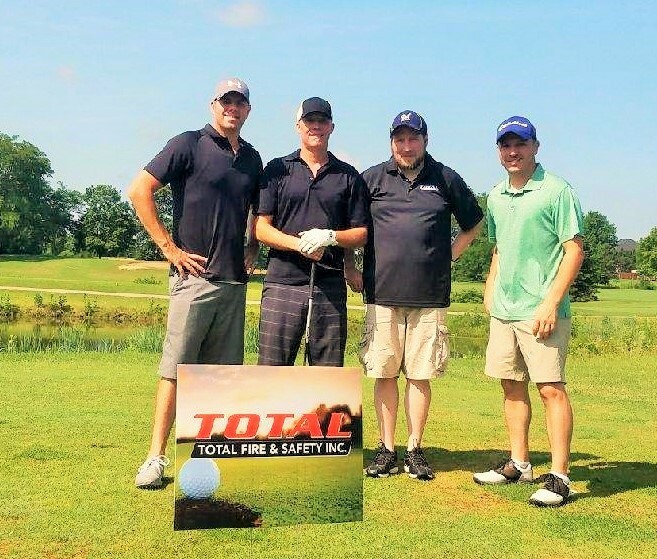 The Total Fire & Safety team was on the scene recently at the 2016 Chicagoland Cooperator’s Condo, HOA, Co-Op and Apt. 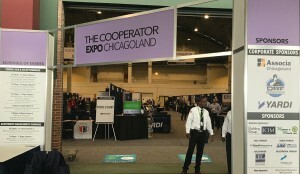 Expo at Navy Pier in Chicago. Once again, thousands of board and association members, property managers, homeowners and apartment building owners met for this growing, annual event. They attended educational seminars and browsed the exhibits, where they had a chance to visit with the knowledgeable staff at TFS. Mark Spinder (outside sales) and Robin Jones (inside business development) at the Cooperator Show. 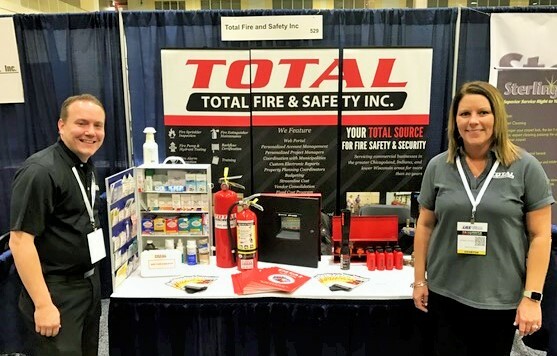 We look forward to next year’s show and another chance to meet new customers and introduce them to the company that has all the answers for their fire safety needs—Total Fire & Safety! 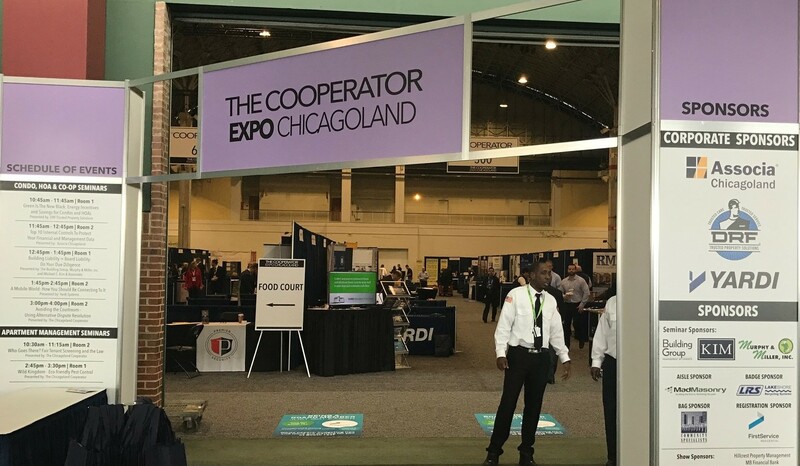 Hope to see you at the Cooperator Expo 2017! 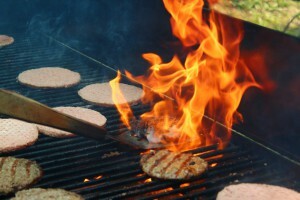 In the meantime, if we can ever help you with your fire safety needs, don’t hesitate to contact us at 630.960.5060. 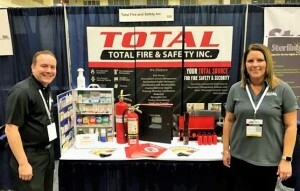 Category: Fire News, Total Fire and Safety Tags: chicagoland's cooperator's condo, expo, fire service expo, HOA, navy pier, Total Fire and Safety | Comments Off on TFS Cooperates at Navy Pier! How Is Your Company’s Fire Prevention? Four Questions for Business Owners! National Fire Prevention Week has been a yearly campaign since 1922, occurring on the Sunday through Saturday period that includes the date October 9. It was established to commemorate the Great Chicago Fire on October 8-9, 1871. This infamous tragedy claimed 250 lives, destroyed more than 17,400 structures and left 100,000 people homeless. Fire prevention week is a day to remember this event and also what kind of effect a fire could potentially have on our lives. No matter what kind of business you own or manage, October is also the perfect time to remember how devastating fire can be, and how important it is to be ready for an emergency. A fire can cause serious damage to your company’s facility and equipment, not to mention employees! This is as good a month as any to make sure you have these five ‘checks’ taken care of within the boundaries of your office and/or facilities. 1. Are your fire hazard risks assessed properly? Some businesses have greater fire risks than others, but there are very few businesses that have none. They all need to be properly assessed so the proper prevention can be implemented accordingly. Some local governments offer fire marshal visits, or workplace fire risk assessment guidance from your building’s property manager. 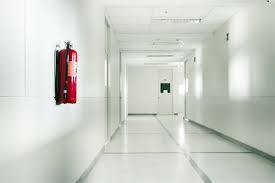 A commercial fire safety firm can also help you mitigate problems. 2. Do you have emergency plans in place? 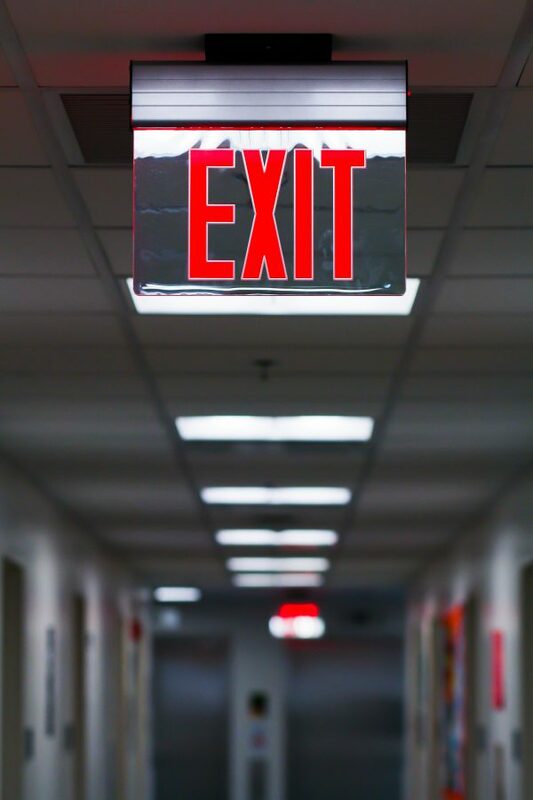 Do you have an evacuation plan and do your employees know what to do in case of a fire? 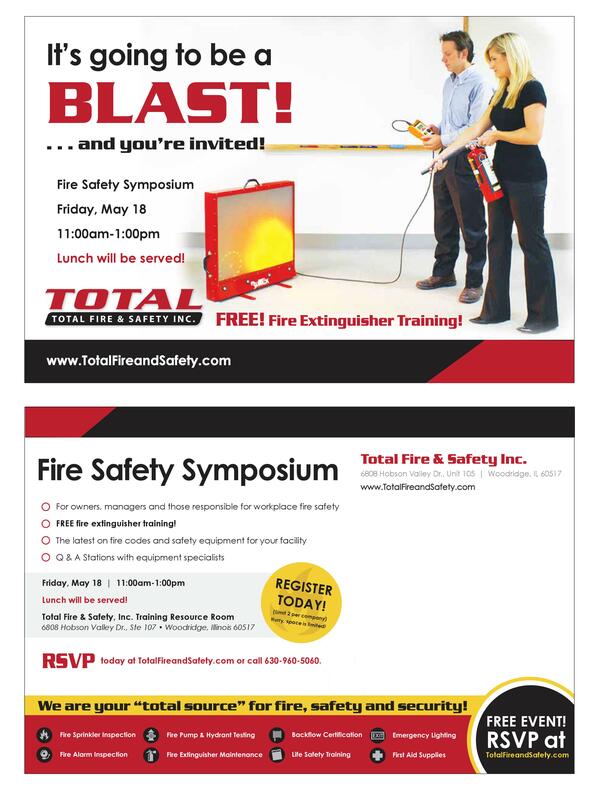 Do they fire training, so that they know how to use fire extinguishers, and when to use them? 3. Do you have the right fire protection equipment installed? Your fire safety equipment needs likely include sprinkler systems, but you might need more to be up to code or compliant with regulations. Industries dealing with machinery that overheats or flammable substances might need a suppression system tailored to your business. 4. 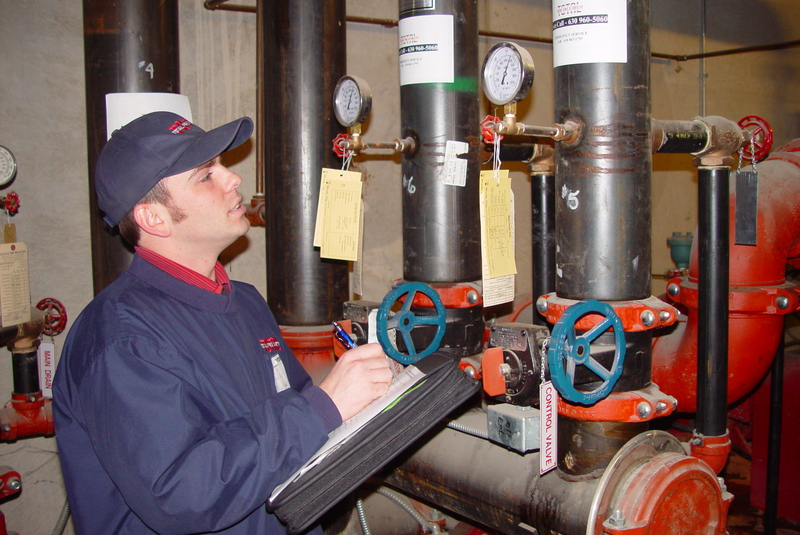 Do you have scheduled routine equipment inspections? 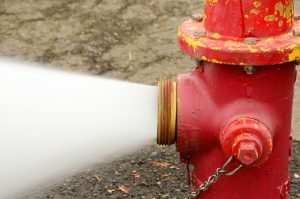 Even if you have the right sprinkler systems, fire extinguishers, and suppression systems, they also need routine inspections (at least annually) to keep everything in working order. Know what tests you can do yourself, and which require professional visits from fire alarm technicians. Even though Fire Prevention Week is over, it’s not too late to think about your fire prevention and safety. Perhaps now is the time to take action. Contact us or call 1.630.960.5060 for more information on any of the fire steps detailed above, from alarm installation to employee training programs. Category: Fire Alarm Monitoring, Fire Extinguishers, Fire News, Fire Safety, Sprinkler Systems, Total Fire and Safety Tags: commercial fire prevention, fire extinguisher regulations, fire prevention, fire prevention for businesses, fire prevention week, fire week, national fire prevention week | Comments Off on How Is Your Company’s Fire Prevention? Four Questions for Business Owners!